(S0303) To say that Kenny’s new role as a father demands some responsibility would be an understatement. He’s brought Stevie and Maria to baby-proof his house in Myrtle Beach, but he still needs someone to baby-proof the rest of his life, and that certainly isn’t his new best friend, Shane (Jason Sudeikis). While Stevie and Shane deal with feeling threatened by each other’s relationship with Kenny, La Flamma Blanca himself finds his supremacy challenged by the new Russian pitcher closing for the Mermen, Ivan Dochenko (Ike Barinholtz). 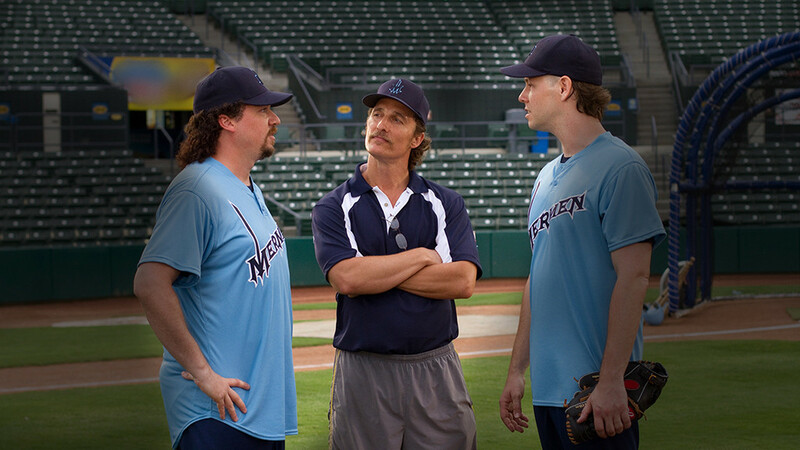 Coming all the way from Texas, pro scout Roy McDaniel (Matthew McConaughey) brings Kenny some mixed news; though Kenny still has some chance to make it back to the major leagues, Roy also wants Kenny to mentor the Russian pitching powerhouse being groomed to one day take Kenny’s spot on the mound. To make matters worse, after being blown off by his bubbly blonde girlfriend, Andrea, in his moment of crisis, he comes home to find his dojo entirely converted into a nursery by Stevie and Maria – just like he asked, but not like he envisioned. Even though Kenny calls Shane his best friend, Stevie realizes that only he can snap Kenny out of his funk, and enchants him with an uncharacteristically rousing motivational speech. 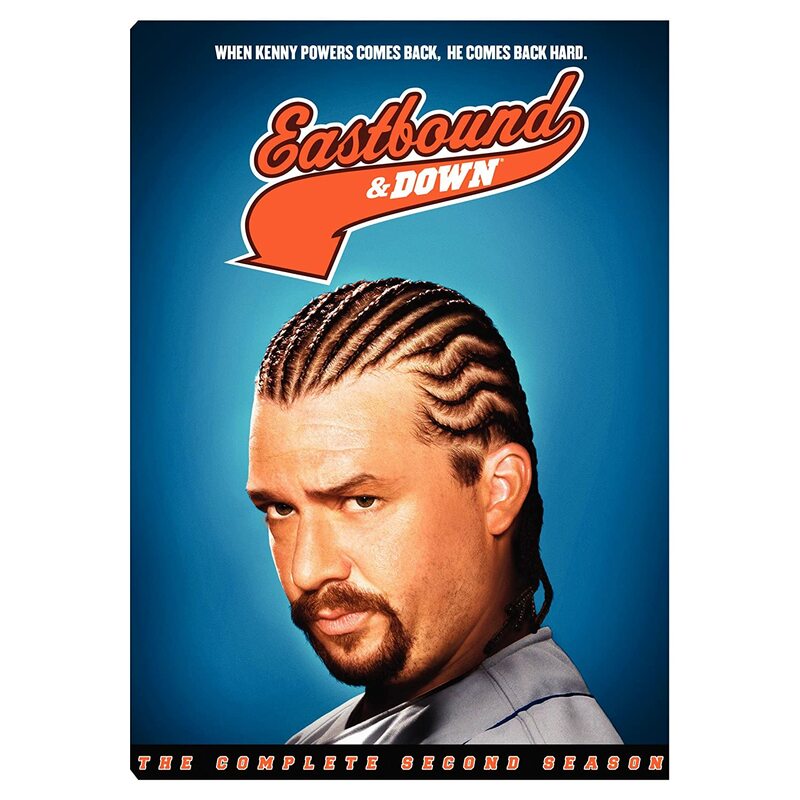 The atmosphere is electrifying – the Mermen have a five run lead and Kenny Powers makes his way to the mound. He locks eyes with someone in the crowd; it’s Stevie. He stands up and in his outstretched arms is Kenny’s own son, Toby, watching, in infantile awe, his dad play baseball for the first time. Kenny winds up, aims his release... and gives up a grand-slam, getting pulled after one pitch. Even after being threatened with replacement, humiliatingly broken up with in a community college class, and blowing his chance at proving himself to the major league scouts in the crowd, Kenny’s day ultimately turns for the even-worse. Snorting away his stress and concerns with Shane, Kenny gets lulled into the trap of picking a song from an impossibly long playlist, unaware that Shane is having a heart attack just behind him. With Kenny’s best friend forever (for now) out of commission, who will take up the mask and glove and squat behind the plate?